The Eastern Re-enactors Association (ERA) like other veteran and "War of the Rebellion" re-enactor groups have been entrusted by out forefathers and their heritages to ensure that their unblemished truths and histories are carried on. We consist of men and women who are dictated to carrying on the history of ours and your ancestors. The unit was founded several years ago and is self-insured. The units that make up the ERA vary (Infantry-Artillery etc.) and are family oriented and authenticity minded with both Military and Civilian impressions. We exist for the honor and memory of the soldiers and civilians who struggled through the "American Civil War". Our nation's most supreme test which made us the country that we are today. We participate in several events throughout the year. Battle reenactments, living history encampments, demonstrations and lectures. Where ever history calls, we can be found. 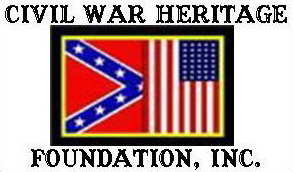 We work closely with many re-enactor groups and other historical societies and veterans groups to include the Sons of Confederate Veterans (SCV), Sons of Union Veterans (SUVCW), Civil War Heritage Foundation, VFW’s, American Legions and the Civil War Preservation Trust. We reject any group whose actions tarnishes or distorts the image of the "War Between the States" soldier or their reasons for fighting. We are Americans and are appalled by those who use our sacred American symbols and flags to foster hate and bigotries. And by those who try to change (revisionist) history for their own false and negative agendas. Although our personal backgrounds vary n many ways and we all come from different walks of life, we are all united in our reasons for re-enacting and that is to "teach history as it was…..not as it is" (jrt) and to bring forth the untold stories and the truths of the "Second American Revolution". We are proud to bring honor and homage to those American Civil War veterans, both Union and Confederate and promise to carry on the unenbelished and un-revised true history of their fight and beliefs. If you have any questions or want information of our group, would like us to put on a demonstration for your group, or perhaps on becoming a re-enactor yourself, please feel free to contact one of us.